The Housing Department is pleased to offer a mortgage calculator that allows you to approximate a realistic option towards securing an affordable mortgage. 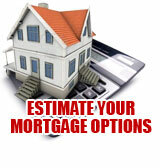 The mortgage calculator is an estimation only. Please contact the Housing Department by telephone at (450) 638-0500 for more information.